The underground movement was temporarily halted. In the capital, stopped the movement of subway due to falling of the passenger on the rails. This became known from the message of the head of KP “Kiev underground” Natalia Makogon. “At the moment the traffic in the metro has been restored. It was suspended somewhere in two minutes on the green line metro”, – said the Agency. “People were not under the train and on the rails. 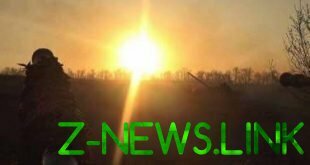 Now the victim in hospital”, – said the KP “Kiev underground”. The causes of the accident and nature of injury to the occupant is not reported.